Is buying right for you? Or do you prefer to lease? Most likely you're on the fence and don't know the benefits of each. 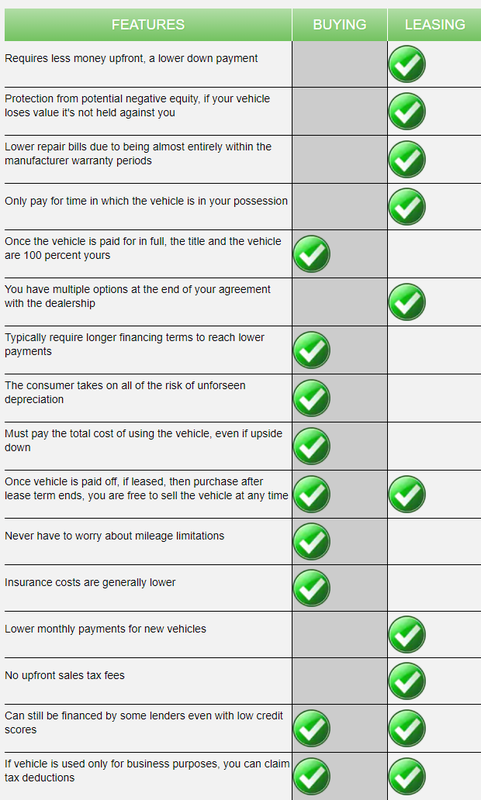 If you're not sure, we've put together a list of features to show you which is more representative of buying or leasing. After you've made your way through our list, please call us directly at (888) 901-5275 so that we can assist you further.